It is important to understand the difference between virus and malware. All viruses are essentially malware but all malware do not necessarily have to be viruses. However, the term virus is more frequently and widely used by people. 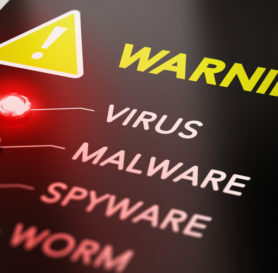 The different types of malware besides virus are a worm, spyware, adware, Trojan horse, bot, bug, ransomware, rootkit, dialers, keyloggers, rogue security software, and malicious BHOs. 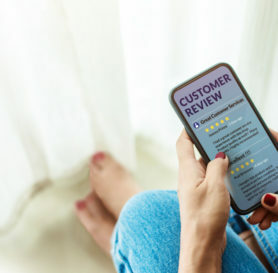 It was in the years between 2000 and 2005 that different adware and spyware emerged which protection systems dealt with vigorously. Malware is a nuisance that is infecting mobile devices and computers at an alarming rate with each passing day. Viruses are codes or programs that get attached to programs and files and run on the PC without the user’s knowledge. Malware is short for malicious software. This is an umbrella term that refers to all types of program and software which are used to interrupt regular computing capabilities. This include virus as well. People are often confused about the two terms as they are similar in nature. When a computer crashes or doesn’t function appropriately or stops running certain programs, it is assumed that it is under a virus attack or there is a malware or worm in the device. Malware and viruses are treacherous software. They affect the software of the computer and are used to collect sensitive data. Malware and viruses were introduced with the intent of playing a prank on people through their computer. However, it was later found out that they could be used to access personal data, spam the computer or hinder its performance, some hackers even use them for illegal activities. Malware can be found in various forms like scripts, code, software, mail and even legitimate programs. Malware is used to gather sensitive data, statistics, host contraband data, send emails and advertisements, etc. Worms and viruses are the most commonly used malware. Malware exploits security loopholes in the operating system, applications, and software. Keep your system safe from malware by using antivirus, anti-malware or internet security software. Restoring or formatting a computer can get rid of an already infected computer. There are professionals as well who can be hired to clean the computer for a cost. Man-made computer virus affects the functioning of any device. They get attached to certain files, hosts or programs and replicate themselves to infect the PC completely. They can be transferred via data or files to infect other computers. Viruses are mostly found attached to executable files. When a person runs the file to install a program that seems legit, the virus gets access to the computer instead. The main motive of a virus is to alter, damage and infect files. It can change the name and location of the computer files and corrupt them, making them inaccessible. In order to protect the computer, antivirus or anti-spyware must be installed. To remove the virus, the infected files need to be deleted and if required the computer has to be restored or formatted. Resident and nonresident are two types of viruses. Resident viruses do not affect the host immediately. They attach themselves to the memory of the computer and then transfer the control to the host program. Nonresident viruses immediately start attacking other hosts. Once they successful infect those hosts, they transfer control to the main application program. The best way to avoid malware of any kind is to visit secured websites only and install application programs on their official websites. If you are not keen on buying antivirus or anti-malware software, you can choose to use the free versions for the time being. But it is always advisable to have a high-quality security system installed in your computer and other such devices.